My internet connection is quite slow (128 kbps while browsing) and I want to know if I can disable video streaming on YouTube and listen only to the audio portion. There are many songs on YouTube that I want to listen to with no need to watch the video. Will the streaming rate increase? You usually need to check the "Allow YouTube to collect cookies" option for it to work. I've been using it with my slow DSL service and for things you want to hear and don't care about video, it works great. There are a lot of solutions in Linux, under this U&L question. See details there, where also some solutions mentioned are cross-platform. 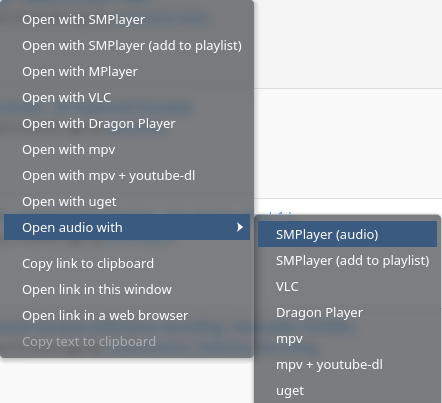 To send the YouTube track stream to the player the simplest way is probably SMTube - more here. Another cross-platform solution is to use Firefox with some add-ons: FlashGot or OpenWith. 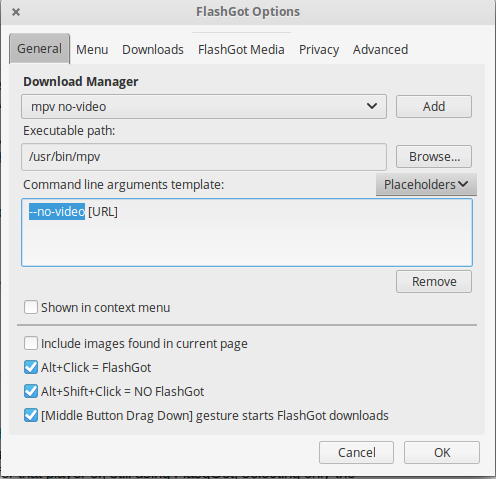 See here how to use Firefox with FlashGot add-on or with OpenWith add-on in order to start YouTube (and other) videos in external players. 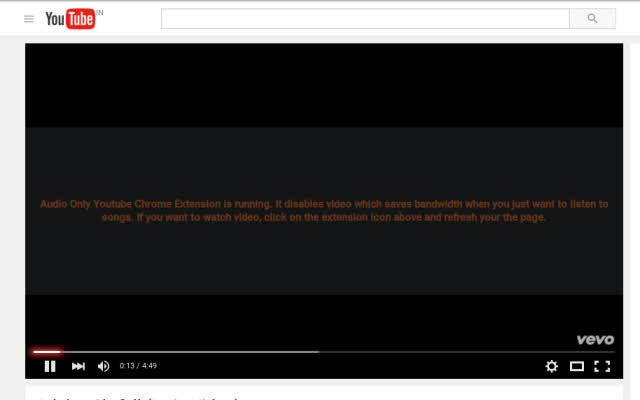 FlashGot add-on for Firefox can also select just the audio stream of the YouTube video as seen under the link above. In this case, audio-only players can be used - some work and some don't (as far as I can tell testing in Linux, Audacious works). I will update this after testing more. 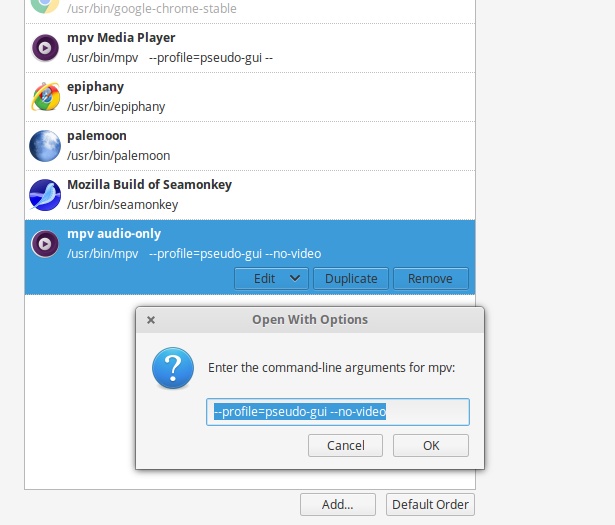 But from my experience mpv works better that VLC for this purpose. If you just want to listen to a song then use Pandora or Last.FM. Other web services out there just like these two. I'd suggest loading the video(s) in separate tabs. Pause them as soon as they start, come back and listen to them once they have fully loaded. This should give you adequate time to compensate for your internet connection. I 'listen' to YouTube videos all the time while I am working on my laptop. ...I minimize the video and voila I only get audio. Not the answer you're looking for? Browse other questions tagged youtube video audio or ask your own question. YouTube videos buffering second time. Why? Does changing the video quality on YouTube impact audio quality?